Last August, LAUNFD also known as Los Angeles Unified took home the Drew League Championship. 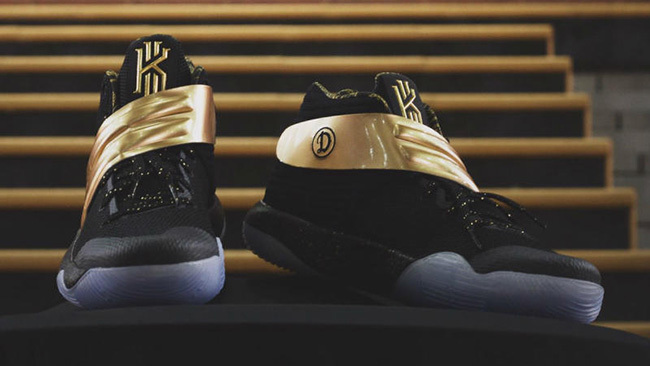 Before their game against the Nova Stars, the reigning champs were given the Nike Kyrie 2 Drew League, a pair created via NikeID. 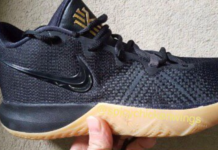 This Nike Kyrie 2 created by the Drew League mimics their colors of Black and Metallic Gold. 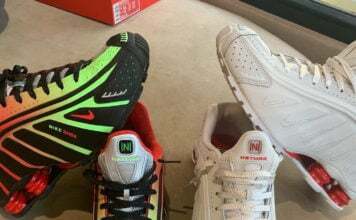 In addition, they used the newly released Father’s Day option that covers the liner. 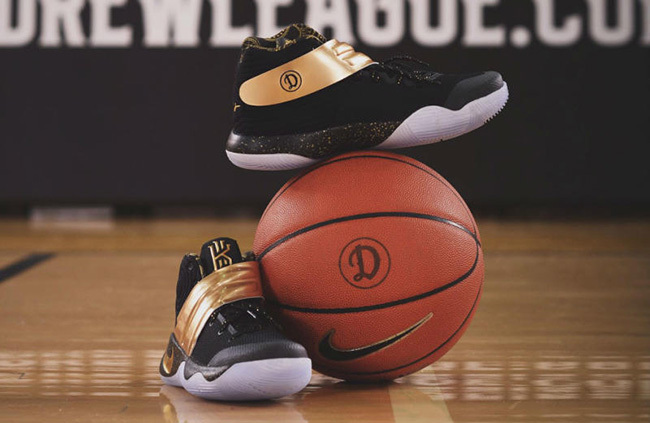 Looking closer, you will notice the Drew League’s logo on the strap which also can be added at NikeID. 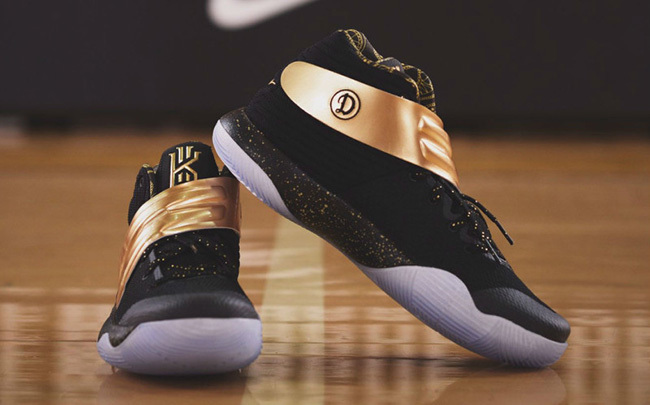 For those of you that would like to get your hands on the Nike Kyrie 2 Drew League Champions edition, you can easily do so. 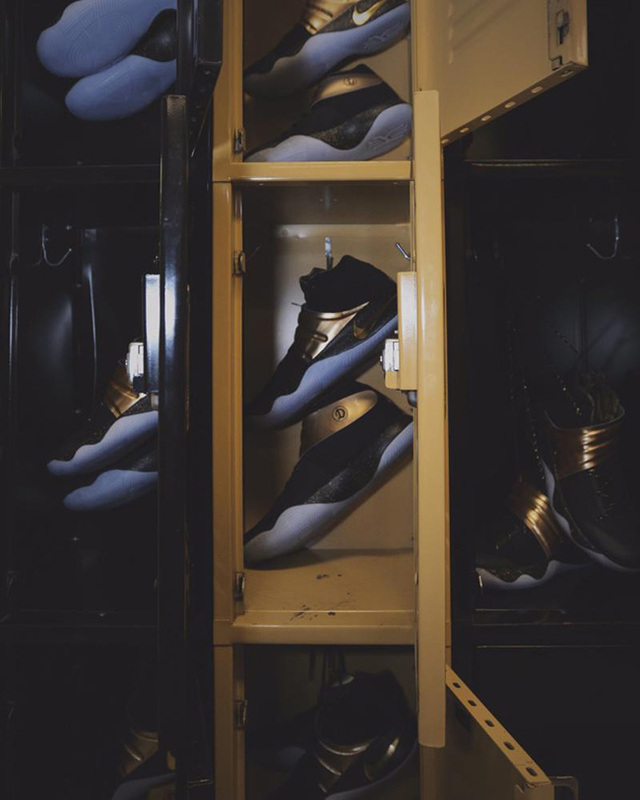 Since they were created via NikeID, the whole setup is available now for you to customize for $165. 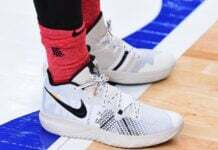 Below you can check out more photography of this Kyrie 2 and let us know your thoughts on how the Drew League executed this pair. 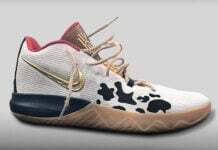 these need to drop period!